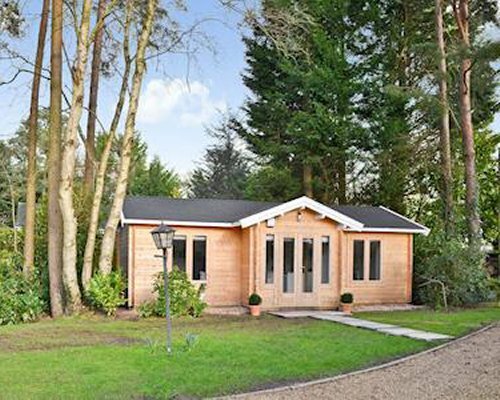 This lovely detached single storey lodge is located at the front of the owners home, with a backdrop of tall trees. 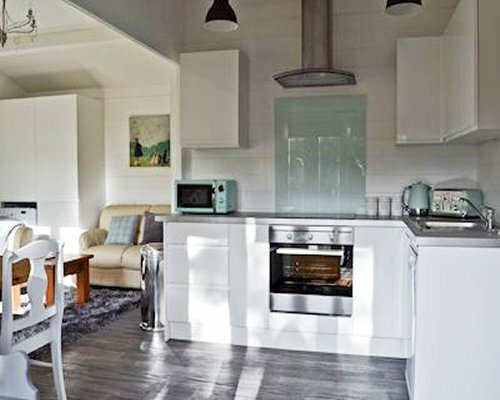 Ideal for couples or small families, Forest Edge enjoys an enviable position close to Moors Valley Country Park one of Dorset's main visitor attractions. 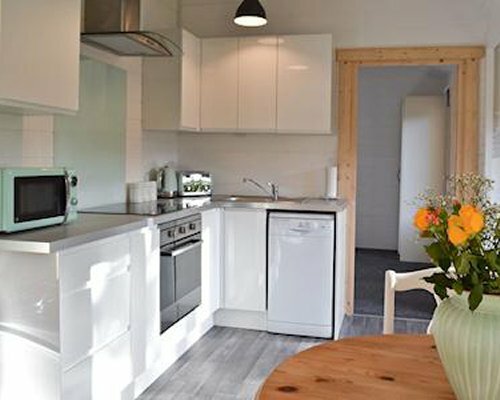 Inside the property offers tastefully furnished, light and airy accommodation, with high ceilings, and there is a sofa bed in the open plan living area for up to two children. 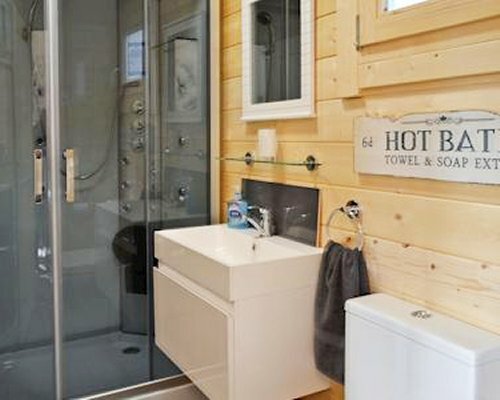 The master bedroom has an en-suite Jacuzzi shower room with spa jets. 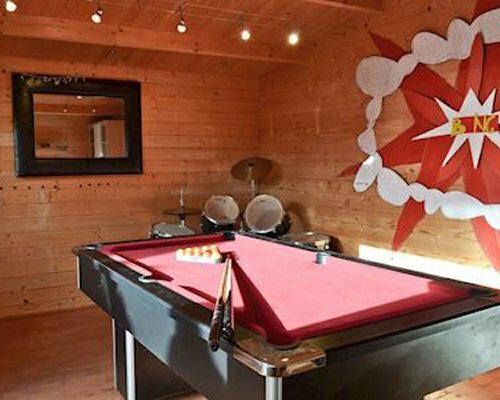 Outside there is a separate summerhouse/games room with pool table, air hockey, darts, and drum kit, and this can also be used for storing bikes or other equipment. 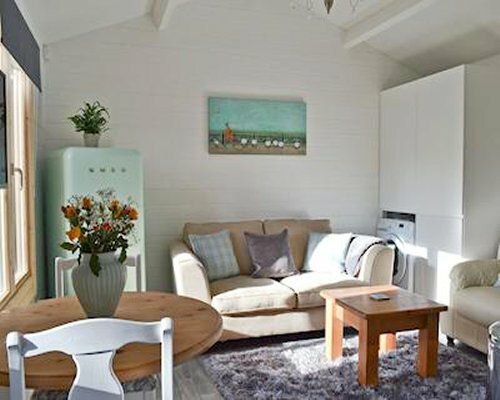 The summerhouse has a sitting out area and BBQ for guests. 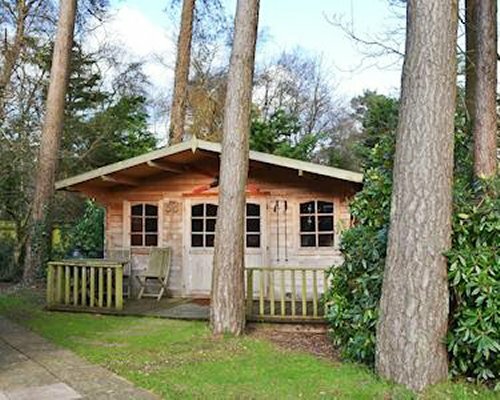 There is so much to do at Moors Valley Country Park for all age groups and it is also dog friendly. 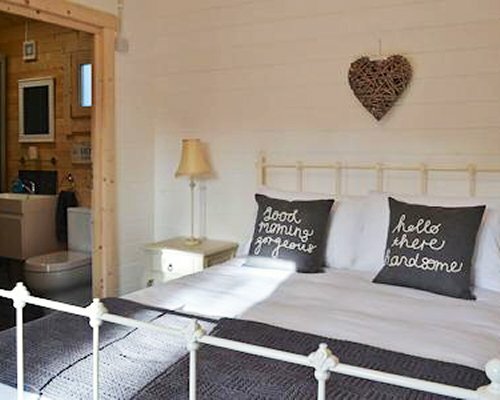 As well as scenic walks and excellent wildlife spotting, there are a host of recreational activities such as angling, orienteering, cycle hire, golf, 'Go-Ape' Tree Top Adventure, Forest Segway, and walking. There are also various exhibitions and talks on subjects such as wildlife photography. There are many other places to visit and things to do in the area, Avon Heath is close by and is ideal for keen ramblers. The New Forest National Park provides miles of scenic walks and you can often find the ponies and cattle roaming the streets in one of the many picturesque villages. The market town of Ringwood has a host of shops, cafes and restaurants, and the gentle flowing River Avon is also nearby. The New Forest Water Park is near the charming town of Fordingbridge, where water sports are available. Other attractions include Marwell Zoo with Peppa Pig World, Beaulieu Motor Museum, and New Forest Otter and Owl Park. Beach 10 miles. Shop 1/4, pub and restaurant 1 mile. Ashley Heath roundabout at the junction of the A31 and the A338 between Ringwood and St Leonards. Follow signs to Moors Valley Country Park. Just before the main park entrance (which is on your right), turn left into Forest Edge Drive, and the property issecond on your right, number 4.